Looking for the process of how agile framework is used in software development lifecycle then you are at the right place to know everything about the entire process. Agile Framework has now become very popular due to its flexibility and adaptability. What is Agile Framework in SDLC? Agile SDLC model is the combination of complete iterative and incremental process models that is mainly focused on process adaptability and customer satisfaction. It mainly enhances with the rapid delivery of working software products and methodology is to break the product into small incremental builds. Agile model mainly believes that every project needs to be handled with current existing tailor-made methodology that best suits the project requirements. In this given framework, the tasks are divided into various small time frames to deliver specific features to release. In the given terms of features, each build is incremental where the final builds hold the all the enhanced requirements as per the customer requirements. These agile framework projects have come up with certain sprints or iterations in short period of time in which some of the pre-determined features are delivered and developed. All the projects are executed in one or more iterations and the entire product is delivered at the end of the final iteration and testing methodologies. Agile framework methodology mostly provides high collaboration within the team, collaboration within the customers and also responds to certain changes in delivering of working software. It is very flexible and adjustable to adapt the projects with trending techniques. The project size will be usually small and measurement of success will be high by delivering business value. The main importance is given to the people-oriented approaches with less documentation is required. Each phase is completed in detail and in a sequence that is one stage at a time. It is more adaptable in an easy way and gives developers time to work while all the requirements are changing. 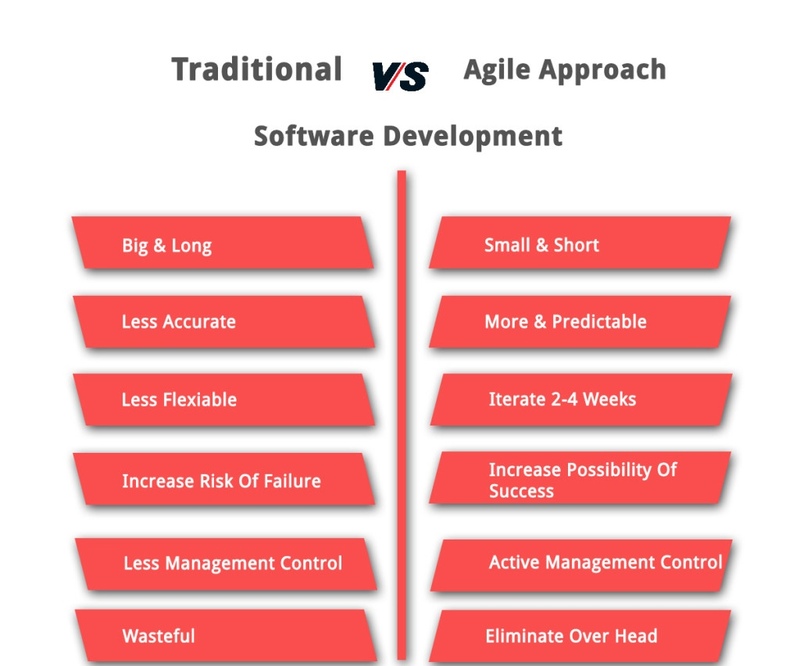 To increase speed in market and risk management one must prefer Agile Framework using Software Development Life Cycle. Note: Let us know if you have any requirement, we develop web & mobile applications and we have scrum certified developers to work on your projects onsite and offshore.